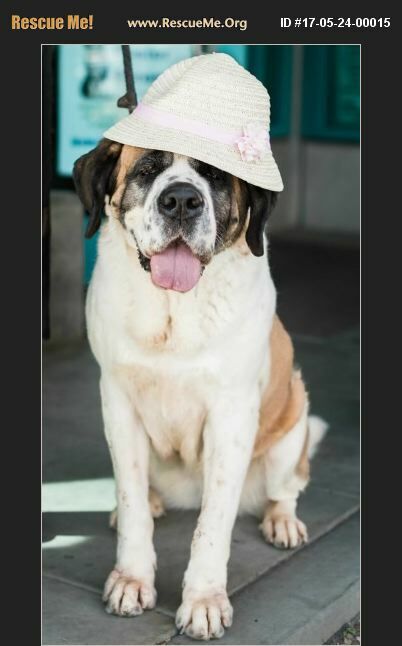 Hi there I'm Daisy and I'm a truly beautiful, large and classic St. Bernard. After being rescued, she has been working with her trainer to re-establish structure and routine in a normal life. She loves having a chance to walk and exercise but also really enjoys just being able to relax. She deserves a loving home!